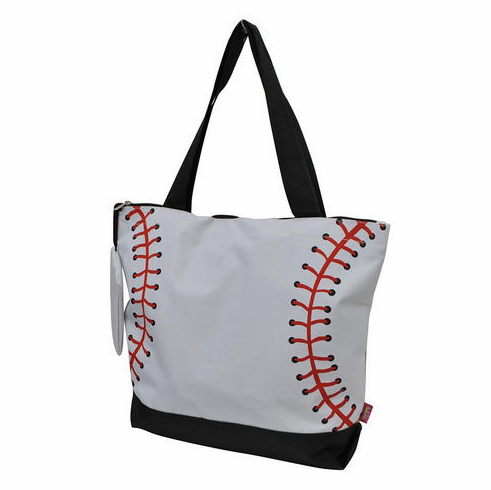 White Baseball Canvas Tote Bag with Coin Purse. Measures appx. 13.5" x 5.5" x 13.5". Attached Coin Purse...appx 4.25" x 5.25"